What’s left of the Saab collection, and thankful for it. Actually missed the “red” guy today as I finally escaped a painful and never ending round the clock pile of work for an hour. 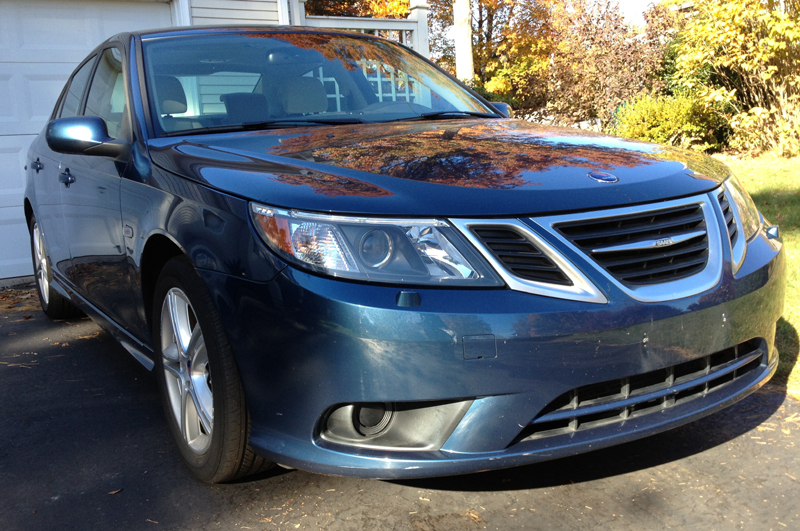 But for a change, I drove the 2009 blue car which is not the one I typically drive (either Brown 2011 or Viggen). Still and always a bit odd to me to jump between nearly identical Saabs and notice little differences, and torture myself with the most mundane questions of, do I like this one or that one better? No matter, blue did what it is designed to do, and well enough. These AWD 9-3 cars do still remind me of my Volvo 240 days, sorry Saab, though like a 240 with Turbo and much better handling and modern safety and conveniences. While the AWD 9-3’s may feel a little Volvo-esque, I will mention that a few opportunities arose to realize, hey, this thing does have a turbo and wow, I’m glad, I needed it to pull out into busy holiday traffic. I also noticed in typical Saab fashion, mr. blue climbed a notoriously steep, curvy and dangerous local mountain road, and without me trying, accelerated his way up it, and was incredibly sure footed doing so in the rain. Thank you Saab. It also does not handle like a Volvo 240, though I don’t push it at all while it wears winter / snow tires, the point of them being to remain sticky and new for the ice that may someday find New England this year. And what have I learned this week though I realize only we care? Blue is our new “Woody”, the rusty red 2002 sold back in Spring 2014 who would have eaten us alive on repairs had we let him. Sooner or later we will get the kinks worked out in suspension, electronics and so on. Hopefully it doesn’t get stuck in Park again either but I have a feeling that and other transmission anomalies are still there, in fact I know it, I can tell, but what do I know? What else? We’ve owned… 5 Saabs with the OnStar feature. Some good and bad there. 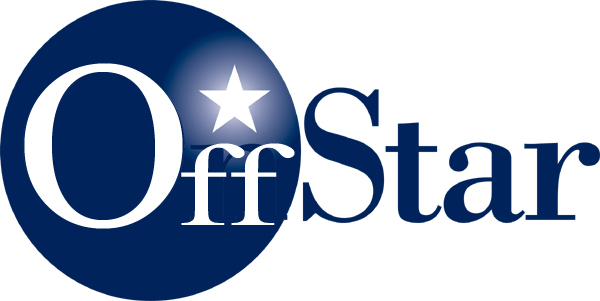 Our 1st OnStar experience in our 2000? never got fully right, the phone never fully worked, and they kept asking if we were in a purple Cadillac for about 2 years, no joke. Hmmm, if we’d had an accident, and the OnStar sent help, would they have found us in the Viggen or kept looking for a purple Sedan De Ville they were sure we were driving? 2 other OnStar activations, wonderful, and darn it, wasteful and useless as the service was (find us a restaurant please, during the free trial with all features) offered us a Burger King 40 miles away. OK, it was 2000 and they were not up to speed. But the last OnStar activation? Finally done, all for the sake of, well safety / theft tracking but also to not have to mess with bluetooth and our cruddy older mobile phone. But this last OnStar activation was not smooth or easy, the OnStar was graciously replaced by previous owner but not fully installed / activated… don’t ask me, a second dealer visit and 3 days later it was ready to activate, after me driving around for another hour in the rain while they figured out what was wrong. They never asked if this blue car was a Caddy but they did ask if Saab was a GM brand and a lot of other questions that make a Saab fan want to cry 😉 Yes, it is a car brand. A sedan, 4 doors, etc. Thankful to have these 3 wise cars, but weird not having my old stick to drive, and the Viggen… not allowed out in the rain since I don’t expose it to anything other than good weather. 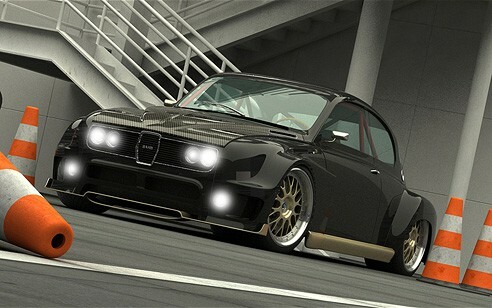 And that, is the week in Saab from our corner. Hoping we can avoid the dealer for a bit but I think Mr. Blue may have other intentions. Winter will tell… but he’s clean and ready to get dirty all over again. 2 drivers, happy enough with the fleet, if things work and no one gets stuck in “park” again. The 2 dogs? 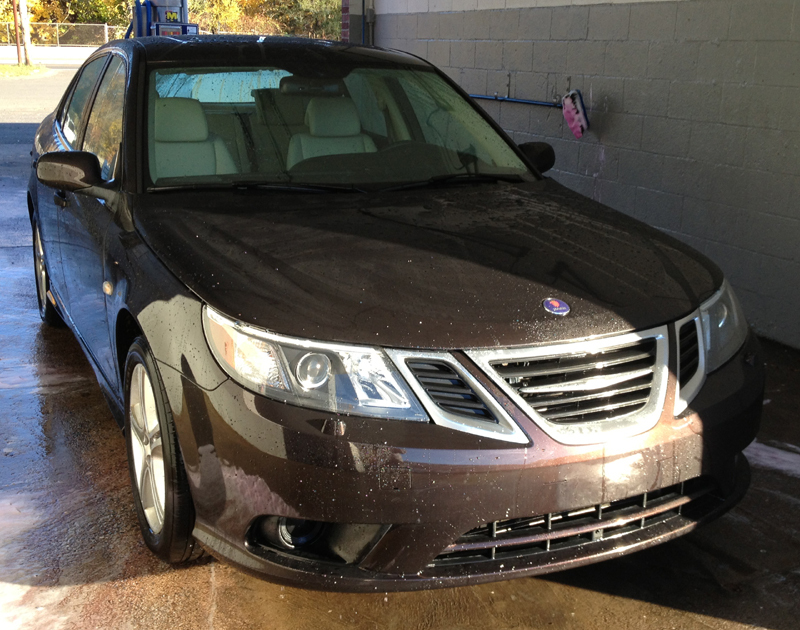 Don’t care which Saab they ride in and may get car sick on any color leather and carpet, unless we drive with windows open and cold air blowing even if in the dead of winter. Dress warmly, if the dogs are going with us! Happy motoring to all no matter what you drive. Well, we don’t NEED more Saabs, but it feels that way. The car closer to camera was “Woody”, the “evil” Saab, only Saab we ever owned that was not a thoroughly enjoyable experience, simply because it was not well maintained and “loved” like our other Saabs. 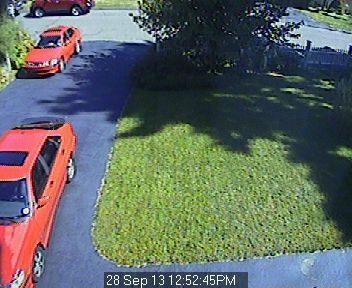 “Red”, the twin 2002 which we sold yesterday is at the bottom of driveway, and the noisy little Scion driving by our home has nothing to do with us. 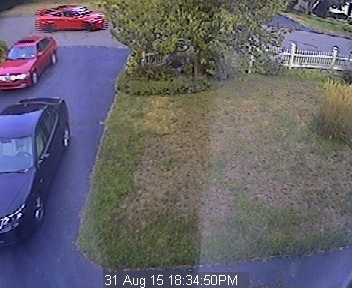 Below, a view from earlier this year, Mr. Red at bottom of driveway and “Brownie”, our Javamet 2011 foreground. Why am I posting boring photos of our driveway? 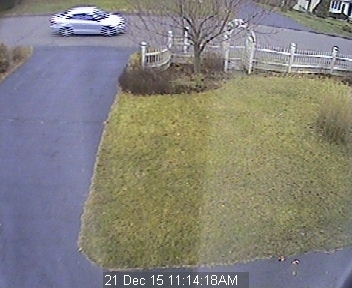 Above is the view of driveway today after my wife took our blue 2009 Saab 9-3X to work. No cars in the driveway, most important, no Saab. Woody, the problematic 2002 Saab we owned was perhaps the only Saab we ever sold that we weren’t sad to see go. 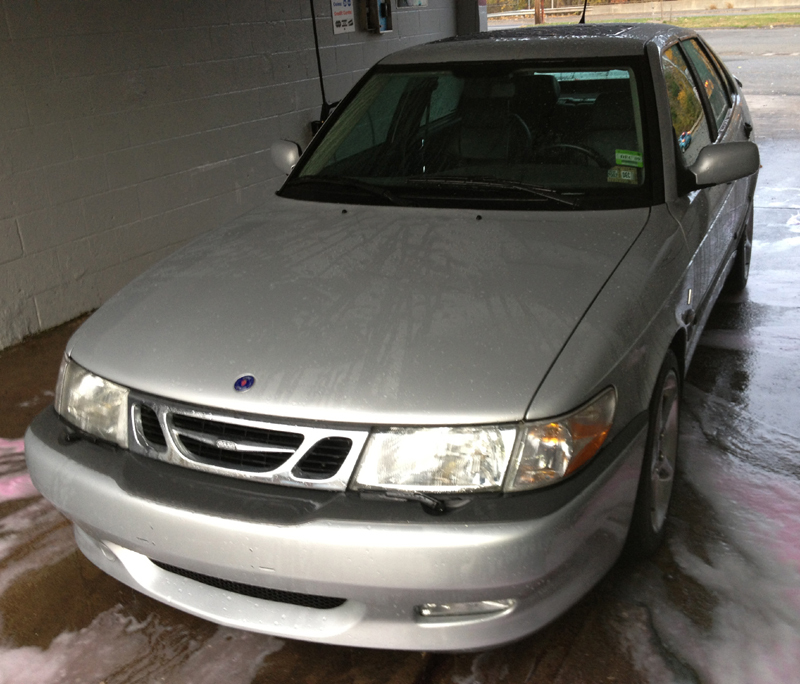 But since 1999, we have had at least 1 Saab outside in the driveway, and 2 in the garage. At one time is was our 1994 900SE Turbo sitting in the driveway, or the 1993 900 Turbo, but since 2007, it was “red” our trusty and trusted 2002 9-3 SE Turbo among them, staring at me, begging to go for a ride (ok it’s all in my head, I was the one who wanted to go for a ride). And now? No Saabs to be seen. We both miss seeing the gorgeous 1978 99 Turbo in the garage as well driving that machine. …and I miss “red” already too. I wonder about things and remember having neighbors ask, do you work for Saab? Seeing all of the Saabs here over the years. My favorite stupid question? “You like Saabs?”, asked by more people than you might think when they saw 1 or 2 outside and perhaps 2 more in the garage. No, I hate them, that’s why we own so many. (sarcasm, I never said that to anyone). In some strange and perhaps foolish way, the cars defined who I am, who we are. With one fewer, it feels like I’ve lost a part of myself and had to raise a white flag, giving up our battle to help make Saab a success, even though they already went bankrupt, and came back from the dead a few times, over the years. I have loved these cars since before I was legal to drive, that’s quite a chunk of time. 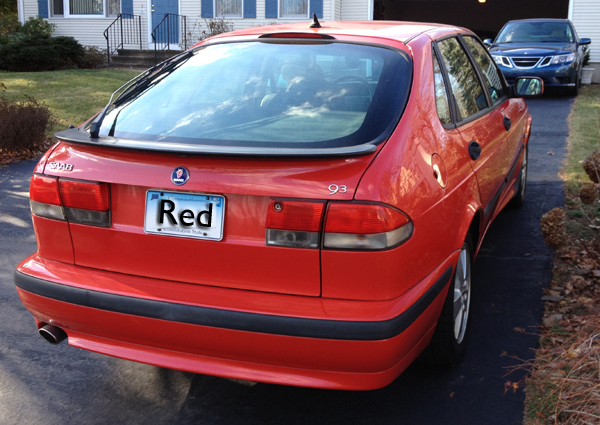 Seeing “red” gone and being reminded at least as of now we can’t go buy a new Saab, is just depressing in a way. …and as if to protest missing its driveway mate this morning, our blue 2009 9-3X had a little brain malfunction of sorts and did not want to get our of Park. 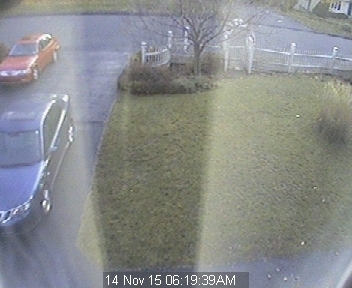 Perhaps the blue car knew I did not want a completely empty driveway today (I am of course joking). Oh, the ridiculous things that bother me. But I am and always will be one of the biggest fans of these cars and the people who built them so well for so many decades. On a less morose note, I received a text with picture our dedicated, talented and kind Saab Master Tech yesterday. 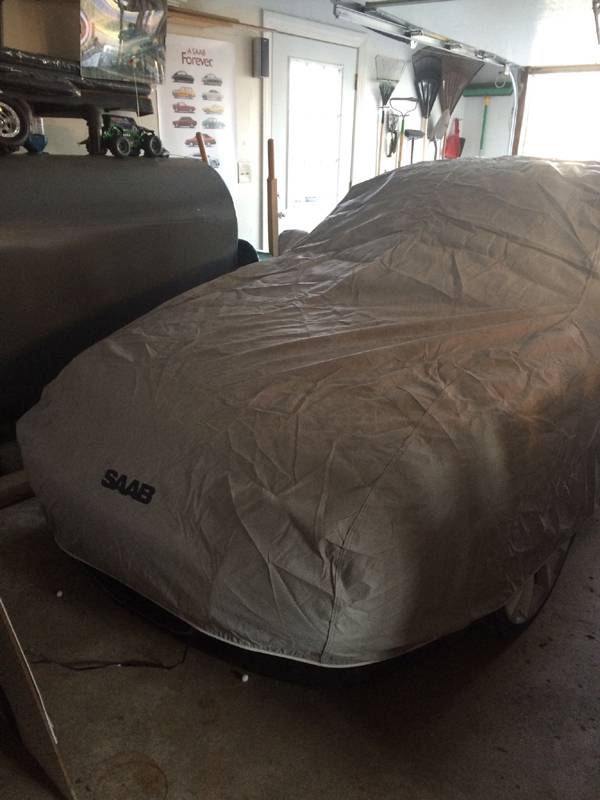 We gave him “Red’s” car cover purchased to keep red safe in 2005, and our mechanic is using that cover to protect his gorgeous 1997+/- 900 Turbo which is beyond modified into the realm of Saab rally / race cars. Picture below, it did my heart good to see the car cover put to good use. P.S. I love that poster on the garage wall (below) with caption “A Saab forever”. It beats my “parking for white Saab 900 turbos ONLY” sticker from 1994 which still adorns our garage wall, from when we had the white 1993 and 1994 Saab 900 Turbos. Above is a partial view outside the windows here, sun coning up, still low 40’s temp wise (feels like 38 according to local weather). Who cares? I do. As winter approaches slowly here in New England, my Viggen driven days are dwindling, and having had some rain this week, I’m excited to see sun and no rain forecast. Once the roads dry it should be a Viggen day, and a light weekend for me work wise, a welcome change. Wishing everyone else who has a car strictly for enjoyment is also able to get theirs out. Driving the Viggen again will be a highlight of the day. Raking more of the leaves that fell in our backyard this weekend? Not as much fun. It will be nice to get out and enjoy nature today though as much as I like nature, we both despise ONE tree in a neighbor’s yard where the leaves all seem to blow solely in our direction, generating tons of clean up for us, while the neighbor gets only the beauty of that tree and shade in summer, we get their leaves. Turbo up! I will need some turbo grade energy to get those leaves done after having done many days of leaf cleanup already in the last 3 weeks. Many have mentioned to me the latest “advice” that we should not pickup leaves, and I’ve been thinking that for years myself, no one rakes the forests, let nature do what it does naturally. But we have a lawn, and if you don’t pick up the leaves, well you know, you won’t have a lawn to enjoy come Spring and our tiny dogs do need someplace to “go”. I’m also insane enough to snow blow our yard during winter because we have very short, tiny dogs who otherwise can’t go outside without an area cleared of snow for them, and the leaves are not compatible with the snow blower. Again, who cares? 🙂 I do. Driving the Viggen still seems far more appealing than the rest of my household to do list this weekend.